Megan and I were extraordinarily blessed to speak with Robert Scheinfeld for this episode of Soulfullpreneur Radio. His books have made a huge impact on our lives and helped us to “Bust Loose” from conventional thinking and being. And it turns out…that was just the middle of the story! Robert has a very interesting past and many gifts to share with the world. 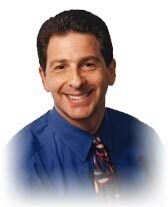 For more than 20 years, Robert Scheinfeld has been helping people worldwide create extraordinary results, in less time, with less effort, and much more fun. Robert captivates audiences through his unique and memorable personal stories of transformation and by sharing valuable and empowering insights from his own rich life. Robert began his path to discovering True Success at age 12 when his tycoon grandfather (founder of Manpower, Inc. – the world’s largest temporary help service and Fortune 150 company) told him True Success is based on your ability to tap power in “the invisible world.” Unfortunately, his grandfather died before he could finish teaching Robert about the invisible world and other secrets of his success. Scheinfeld, however, was determined to unlock the mystery of success by discovering the inner workings of his grandfather’s invisible world. During his journey, Robert spent over 33 years on what he now calls “The Treasure Hunt of the Century.” Along the way, he became a multimillionaire (and self-proclaimed stressed-out maniac), plunged $153,000 in debt, and spent seven years struggling before he solved the mystery his grandfather left him with at such a young age. His “Busting Loose” body of work reveals his discoveries and how you can apply them to create True Success in your life. Along his journey, Robert became a master of applying cutting edge sales and marketing strategies and has had in-the-trenches experience of creating profitable million dollar businesses (on and off the Internet). For example, Robert helped grow Blue Ocean Software from $1 million to $44 million in less than four years, resulting in the company being named three times to the Inc. Magazine Inc. 500 list. That tremendous growth, accompanied by outrageous profitability, led to Blue Ocean being acquired by software giant Intuit for $177 million. He also played a key role in growing a computer store franchise company called Connecting Point of America from $90 million to $350 million in sales. In addition, the marketing model and system Robert created was used to pack the room at Tony Robbins multi-media seminars. More than providing more of the “same old, same old” or another rah-rah motivational pump up job that doesn’t last, an interaction with Robert empowers you to see with unusual clarity, act with newfound confidence, and transform the results you produce in your life and work. He gets you on-track, laser-focused, and tapping into a new kind of power to finally experience the True Financial Freedom you’ve been searching for. 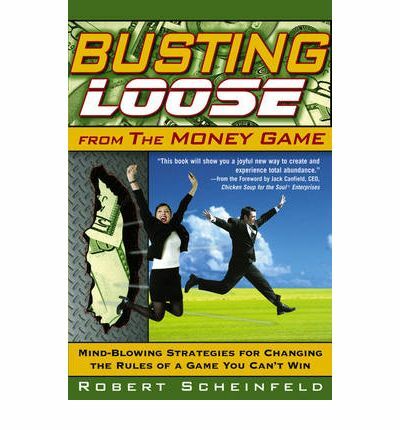 And at his thoughtfully constructed website, www.robertscheinfeld.com, you will find many more free resources and a few which require an expression of appreciation (moolah). We hope that you enjoy this podcast as well as the extras that Robert is offering.